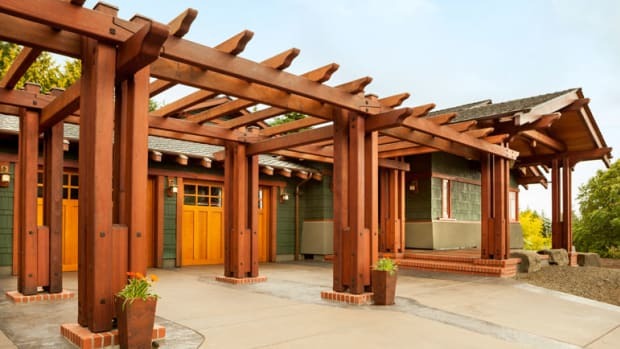 Many bungalows would be overwhelmed by a large addition or outbuilding. 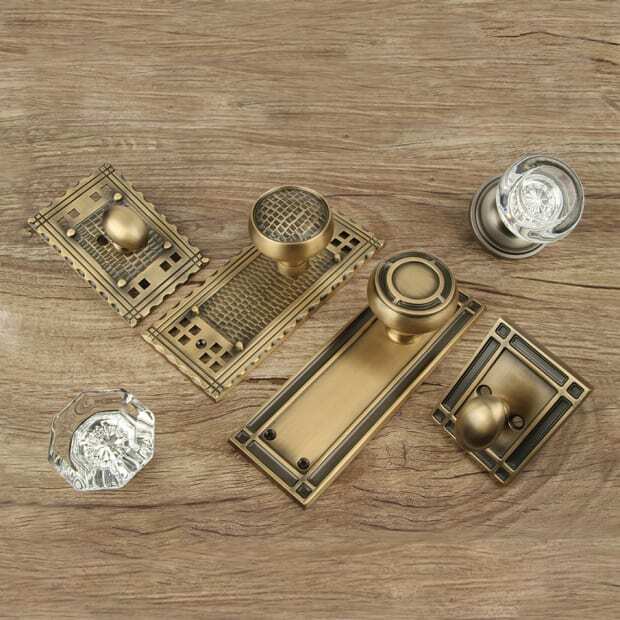 Compatible design is about solving problems and keeping period style. Architect Paul Buum of SALA Architects broke the taboo against façade garage doors in this house with no side or rear access. 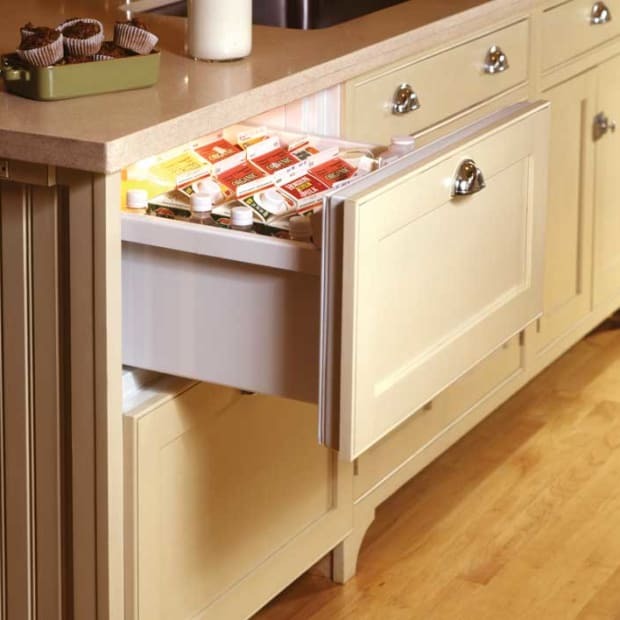 Designer Doors made the flush-surface doors that look as though they swing open; actually, they roll overhead. Most houses of “the bungalow era” are located in areas developed after the dawn of the automobile age. 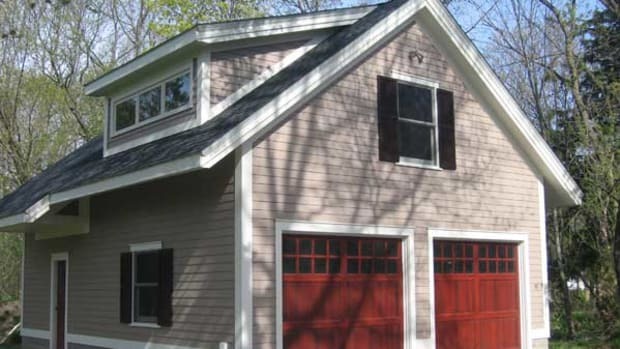 Design precedent is not hard to find, and often space exists for a detached garage. On the other hand, the original builder didn’t foresee two SUVs and a Jet Ski in the driveway. Yet many bungalows and cottages would be overwhelmed by a large addition or outbuilding. Compatible design isn’t just about picking up details of style, but also about solving problems—whether the challenge of a small suburban lot or the need for more space. The good news is that a compatible garage can solve problems rather than create them. The addition may provide guest quarters or an office besides space for cars and storage. In new construction, breaking up living space among two or more structures reduces the apparent scale, keeping the new dwelling compatible with an established neighborhood of older, smaller homes. “We’ve designed single-storey attached and detached, alley-accessed, and front-loaded garages,” says Christian Gladu of The Bungalow Company, “as well as those with second levels, called ADUs (accessory dwelling units) or ‘granny flats’.” And even the smallest garage can offer a bonus room or storage above. When lot space is tight, the garage doors may have to be on the primary façade—“an architectural taboo,” says Paul Buum of SALA Architects. In his design for a new house in an established neighborhood of historical-revival houses in Minneapolis, the house had to fit in, and the garage had to face forward. The happy result is shown above. 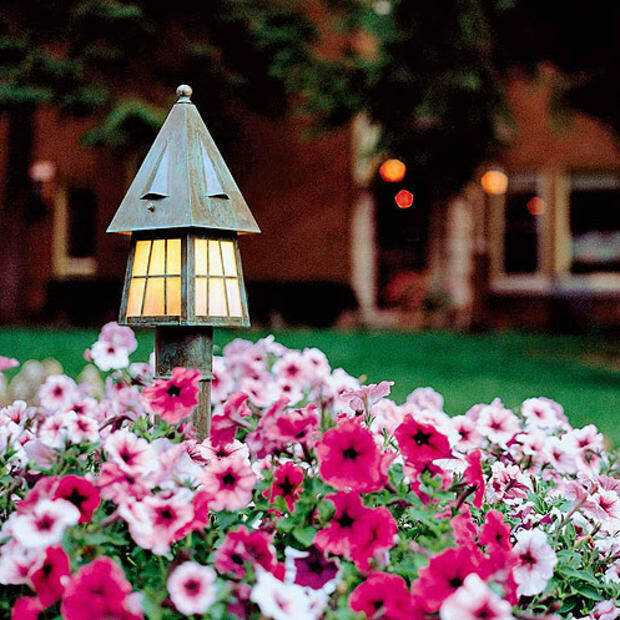 “I was able to work closely with Designer Doors,” says Paul Buum. 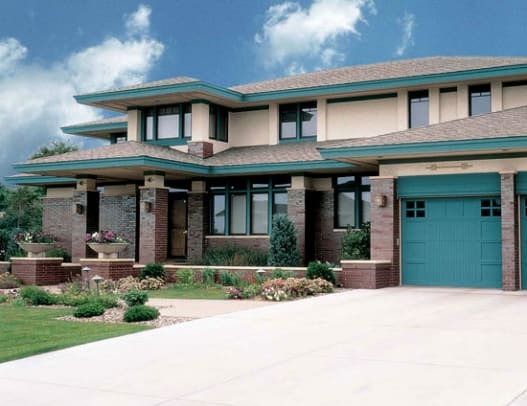 “They made doors with rail and stile members that disguised the roll-up feature, giving the look of a double-swing door.” The doors are indeed a critical element in garage design. Designer Doors worked with the architect on this cubic garage with the hipped roof and multi-light windows of the classical Foursquare in California. The patented garage door features a simulated center post; this is actually one wide door. 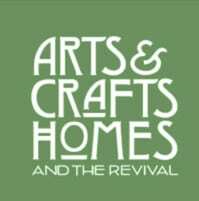 Not all Arts & Crafts houses are bungalows. 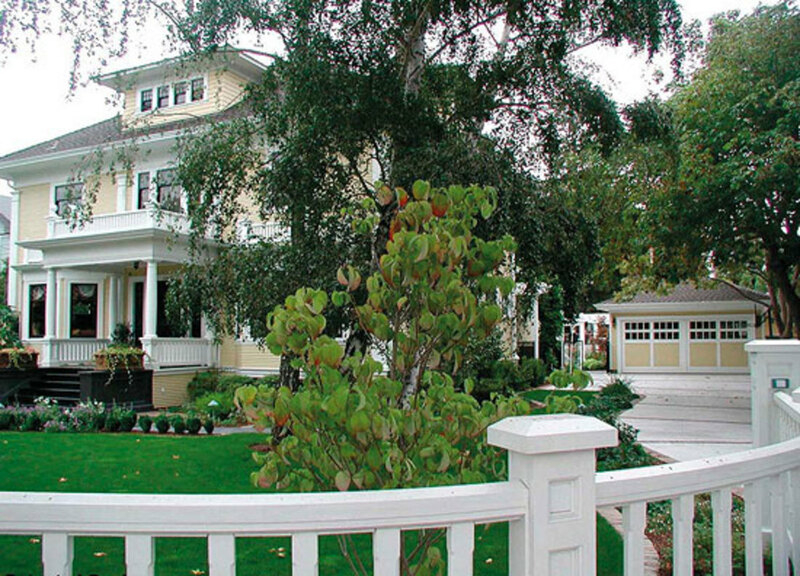 Here we see new garages built for old and new houses in the Shingle, American Foursquare, French Revival, Prairie, Semi-Bungalow, and Cottage styles. Note the compatibility of a “carriage house” to the Shingle-style house, and a detached garage mimicking the cube of the Foursquare. 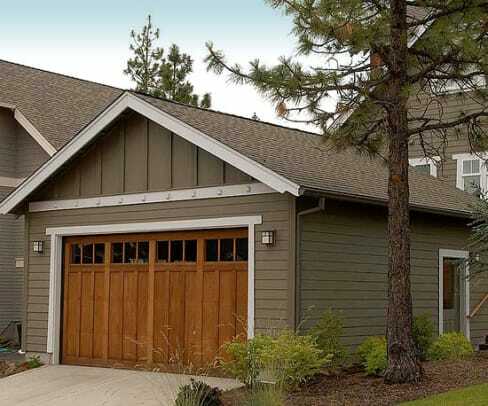 By picking up compatible proportions, fenestration (how the windows are handled), roof shape, and details, the garage may actually enhance the design intention of the house. 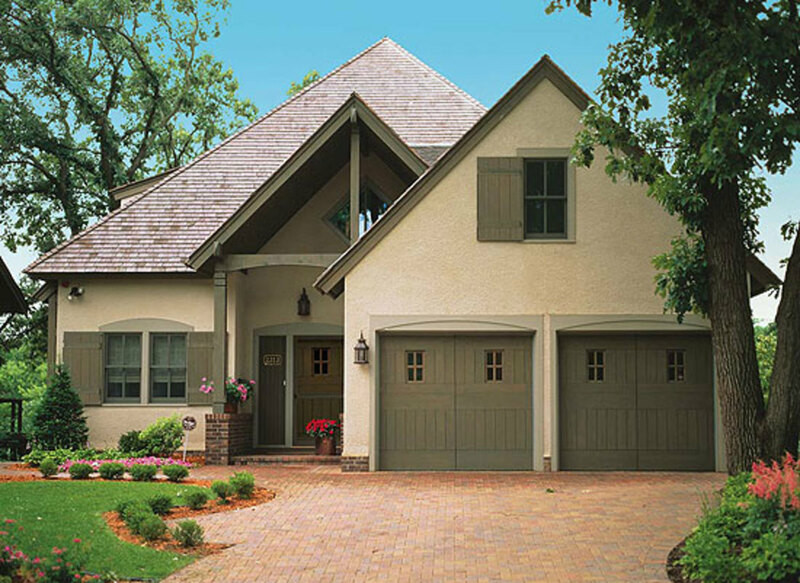 Designer Doors, Inc., Wisconsin: designerdoors.com (800) 241-0525 Handcrafted garage doors, entrance doors, shutters and gates all in Architectural Harmony. 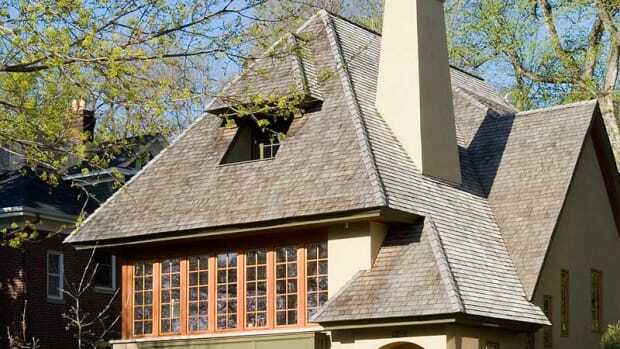 What makes a new garage for a historic property look like it belongs? It’s all about scale—and the right details. Since the bungalow era overlaps the adoption of the automobile, style cues abound for compatible design. 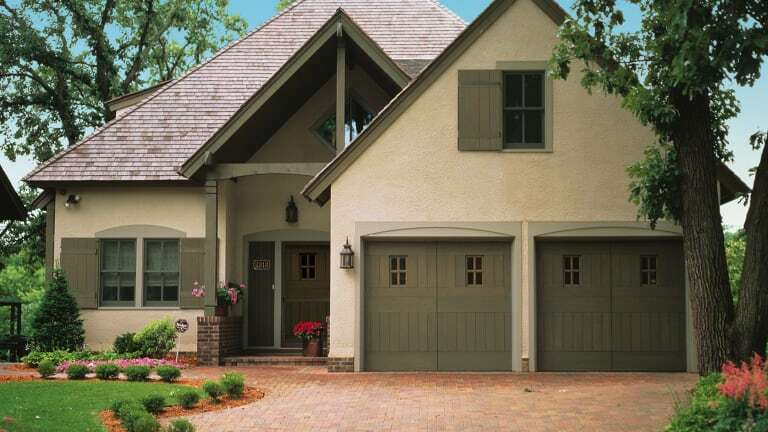 Arts & Crafts-style garage doors can have a huge impact on curb appeal, especially if they are visible from the street. Ironically, the largest moving part on many homes is the one item given the least amount of thought.